Antinomianism, which means being “anti-law,” is a name for several views that have denied that God’s law in Scripture should directly control the Christian’s life. Dualistic antinomianism appears in the Gnostic heretics against whom Jude and Peter wrote (Jude 4-19; 2 Pet. 2). This view sees salvation as for the soul only, and bodily behavior as irrelevant both to God’s interest and to the soul’s health, so one may behave riotously and it will not matter. Spirit-centered antinomianism puts such trust in the Holy Spirit’s inward prompting as to deny any need to be taught by the law how to live. Freedom from the law as a way of salvation is assumed to bring with it freedom from the law as a guide to conduct. In the first 150 years of the Reformation era this kind of antinomianism often threatened, and Paul’s insistence that a truly spiritual person acknowledges the authority of God’s Word through Christ’s apostles (1 Cor. 14:37; cf. 7:40) suggests that the Spirit-obsessed Corinthian church was in the grip of the same mind-set. Christ-centered antinomianism argues that God sees no sin in believers, because they are in Christ, who kept the law for them, and therefore what they actually do makes no difference, provided that they keep believing. But 1 John 1:8–2:1 (expounding 1:7) and 3:4-10 point in a different direction, showing that it is not possible to be in Christ and at the same time to embrace sin as a way of life. Dispensational antinomianism holds that keeping the moral law is at no stage necessary for Christians, since we live under a dispensation of grace, not of law. Romans 3:31 and 1 Corinthians 6:9-11 clearly show, however, that law-keeping is a continuing obligation for Christians. “I am not free from God’s law but am under Christ’s law,” says Paul (1 Cor. 9:21). Dialectical antinomianism, as in Barth and Brunner, denies that biblical law is God’s direct command and affirms that the Bible’s imperative statements trigger the Word of the Spirit, which when it comes may or may not correspond exactly to what is written. The inadequacy of the neo-orthodox view of biblical authority, which explains the inspiration of Scripture in terms of the Bible’s instrumentality as a channel for God’s present-day utterances to his people, is evident here. Situationist antinomianism says that a motive and intention of love is all that God now requires of Christians, and the commands of the Decalogue and other ethical parts of Scripture, for all that they are ascribed to God directly, are mere rules of thumb for loving, rules that love may at any time disregard. But Romans 13:8-10, to which this view appeals, teaches that without love as a motive these specific commands cannot be fulfilled. Once more an unacceptably weak view of Scripture surfaces. It must be stressed that the moral law, as crystallized in the Decalogue and opened up in the ethical teaching of both Testaments, is one coherent law, given to be a code of practice for God’s people in every age. In addition, repentance means resolving henceforth to seek God’s help in keeping that law. The Spirit is given to empower law-keeping and make us more and more like Christ, the archetypal law-keeper (Matt. 5:17). This law-keeping is in fact the fulfilling of our human nature, and Scripture holds out no hope of salvation for any who, whatever their profession of faith, do not seek to turn from sin to righteousness (1 Cor. 6:9-11; Rev. 21:8). Article above adapted from J.I. Packer. Concise Theology. Wheaton: Tyndale, 1993, pp. 178-180. 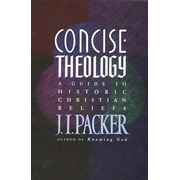 About the Author: James Innell Packer (born in Gloucester, England) is a British-born Canadian Christian theologian in the Calvinistic Anglican tradition. He currently serves as the Board of Governors’ Professor of Theology at Regent College in Vancouver, British Columbia. He is considered to be one of the most important evangelical theologians of the late 20th century. The son of a clerk for the Great Western Railway, Packer won a scholarship to Oxford University. He was educated at Corpus Christi College, obtaining the degrees of Bachelor of Arts (1948), Master of Arts (1952), and Doctor of Philosophy (1955). It was as a student at Oxford where he first met C.S. Lewis whose teachings would become a major influence in his life. In a meeting of the Oxford Inter-Collegiate Christian Union, Packer committed his life to Christian service. He spent a brief time teaching Greek at Oak Hill Theological College in London, and in 1949 entered Wycliffe Hall, Oxford to study theology. He was ordained a deacon (1952) and priest (1953) in the Church of England, within which he became recognized as a leader in the Evangelical movement. He was Assistant Curate of Harborne Heath in Birmingham 1952-54 and Lecturer at Tyndale Hall, Bristol 1955-61. He was Librarian of Latimer House, Oxford 1961-62 and Principal 1962-69. In 1970 he became Principal of Tyndale Hall, Bristol, and from 1971 until 1979 he was Associate Prinicipal of Trinity College, Bristol, which had been formed from the amalgamation of Tyndale Hall with Clifton College and Dalton House-St Michael’s. In 1978, he signed the Chicago Statement on Biblical Inerrancy, which affirmed a conservative position on Biblical inerrancy. 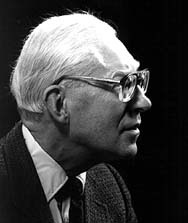 Packer served as general editor for the English Standard Version of the Bible (2001), an Evangelical revision of the Revised Standard Version of 1971. He is now at work on his magnum opus, a systematic theology. To read more about Packer, a recent biography by Alister McGrath, entitled J. I. Packer, gives a careful and sensitive examination of his life.